Working again in cooperation with the Hor Phra School in Chiang Mai and Kru Payu’s Swim Program at Bronco Kids Pool, the Chiang Mai International Rotary Club is continuing its sponsorship of the children’s water safety pilot program. 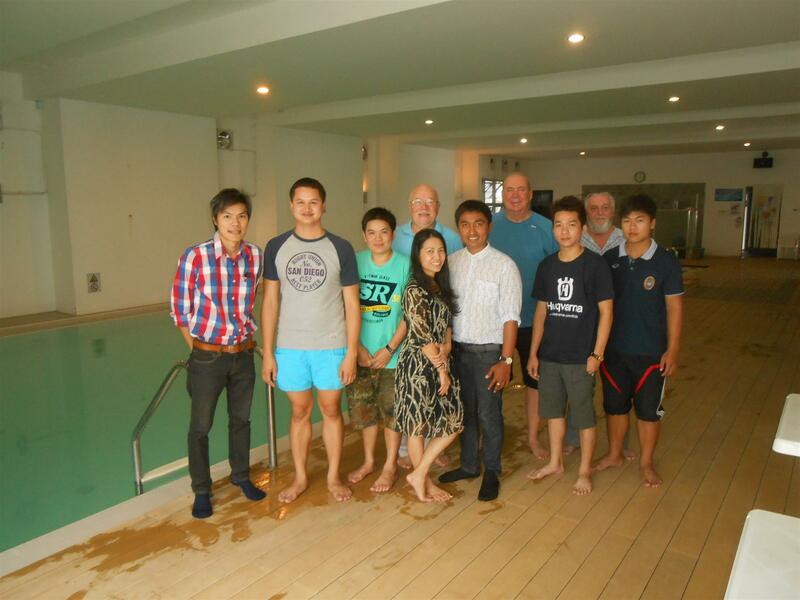 This program is designed to address the problem of drowning deaths in Thailand. 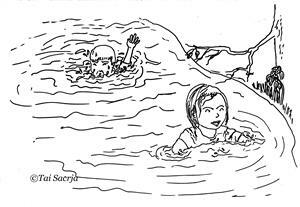 Drowning is the single leading cause of death for children between the ages of 1 and 15 in Thailand. 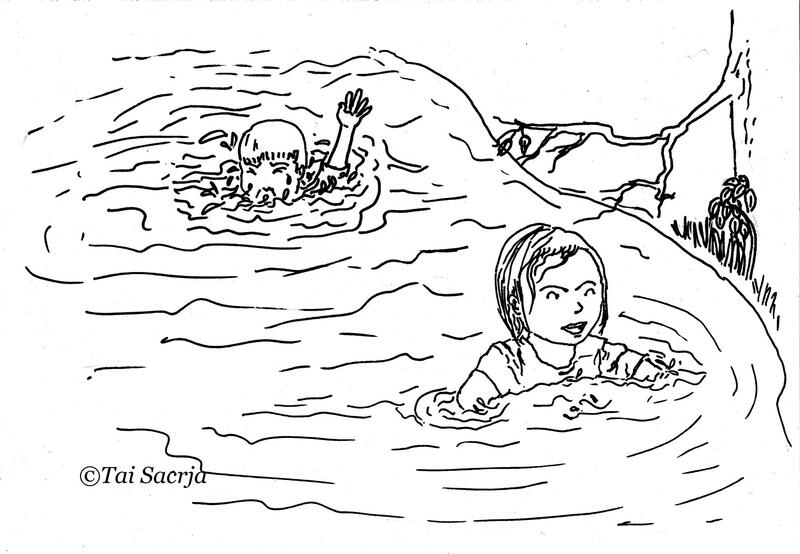 The Ministry of Health estimates that there were almost 1300 children drowned in Thailand last year. CMIRC is sponsoring four pilot swim instruction/drown-proofing programs to learn the most effective ways to address this problem. Each of our pilot programs will focus on teaching children basic survival skills in the water. Our target audience will be non-swimmers whose families do not have the means to pay for private lessons for their children. The Chiang Mai International Rotary Club will provide all of the equipment that the children will need for these programs, including swimming suits, caps, towels, goggles, etc. We will also pay for the swimming pool rental and for the swimming instructors (there will be both male and female instructors). Each of the pilot programs will use four swimming instructors under Kru Payu’s supervision to teach basic water survival skills to poor children. We will use differing schedules, locations, and age ranges for each of the pilot programs in attempt to learn the most efficient way to “drown-proof” children. Our first pilot program was conducted Monday to Friday, October 5 to 9, 2015 from 8am to 10am each day. We taught 38 seventh graders (12-13 years old) from the Hor Phra School. The program consisted of 5 two-hour sessions for each student with four instructors teaching and evaluating progress. All students who began the course were non-swimmers and therefore at risk of drowning All of the students successfully completed the program and the final evaluations showed they had all learned appropriate water survival skills. Each student received a formal certificate of completion and school officials were informed of each student’s progress. Our next pilot program will work with the same age group from the same school, but will use an extended afternoon schedule for instruction. Students will complete their ten hours of water safety training during ten weeks, meeting at the Bronco Kids Pool with four instructors weekly from 1:50pm to 3pm from November 17, 2015 until January 18, 2016. Future pilot programs will focus on younger children at different city schools and perhaps try a weekend schedule and a school vacation schedule as well as different pool locations. While we hope to greatly expand the local CMIRC water safety program and to work with many more children throughout Chiang Mai Province, our committee’s long-term goal is to develop a model or models of instruction that can be taught to swim instructors in all regions of Thailand. We hope to work with Rotary Clubs and other service clubs to identify and sponsor swim instructors and swim programs that could provide water safety instruction for poor children. We are planning to raise funds for the development of a course focused on “teaching children water safety and water survival.” We would hope one day to offer this course here in Chiang Mai to those swim instructors nationwide, who have demonstrated their desire to help poor children and who have the support of their local Rotary Club or other recognized service organizations to develop programs such as ours in their communities.